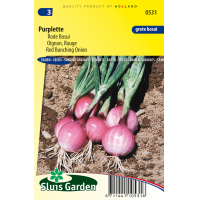 Shiny purple, oval-shaped bunching onions with very good taste. The onions can be kept for a long time. Use raw in, for example, salads. Sow thinly directly in the garden in rows and cover the seed well. Onion requires darkness to germinate. Keep the soil moist constantly. After emergence do not thin out too much. Lightly fertilize the soil, preferably with compost. Can already be harvested in early summer. 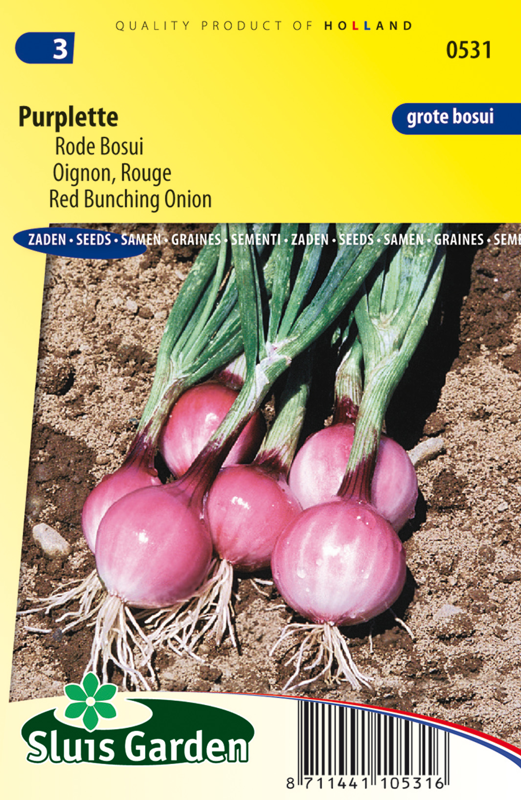 You can also allow to grow further for a large onion in pastel colours.